What Type Of Lawnmower Do I Buy? 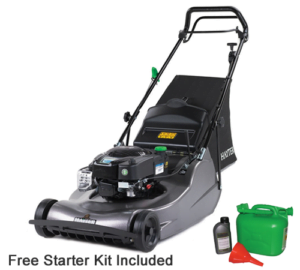 - Garden Equipment Review What Type Of Lawnmower Do I Buy? 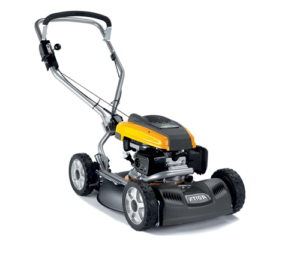 Home / Uncategorized / What Type Of Lawnmower Do I Buy? It’s always difficult to know what type of Lawnmower to buy, here I want to make a list of the various different types of lawnmowers that are available. Lawnmowers come in all shapes and sizes, it’s very important that you choose the right machine for your garden. I have seen so many people making life difficult through not having the right equipment, it’s actually painful to watch. Take a look below and feel free to comment if you have any questions. I have embedded YouTube video to this page below, you can either watch the video or read my post or both! Rotary mowers are probably the most practical lawnmowers for most people, take a look below at the list of different types of rotary mowers. Rear roller mowers are probably my first choice of Lawnmower, most of these machines are driven through the rear roller via a petrol engine. If you like to see a nice striped traditional lawn then a roller rotary lawnmower is a great choice. Roller rotary mowers also come with a collection bag or box, the grass is simply blown into the rear collection box, it’s also very useful in the autumn when the leaves are falling. Before you purchase a roller rotary mower, here are a few things to check. Make sure that your lawn is reasonably level as rollers don’t grip very well on rough ground and they are also not designed to work on really rough areas. In general, if the grass is dry roller rotary’s pickup reasonably efficiently, however, they will not collect long grass, you will just clog your machine, so you need to remember that these machines really need to be used on a regular basis, at least once a week in the peak growing season. It is also very important to make sure and keep your grass box clean, if the grass box isn’t kept clean the air cannot flow through and you will struggle to pick up the grass clippings. I normally use an airline or power washer to wash the grass bag, if you do this on a regular basis you will notice a huge difference with your collection efficiency. Ideally, I would also purchase a machine that drives, is much easier if the mower pulls itself along rather than having to push the machine. 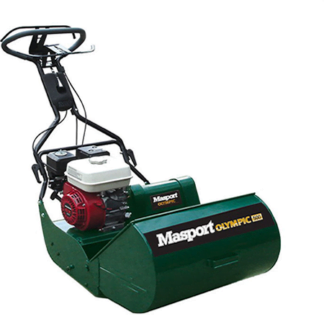 Self-propelled Rotary lawnmowers can sometimes be referred to as fourwheeled mowers, these lawnmowers can have power drives and push versions. I would definitely go for a version that drives, is far easier than pushing a mower, make sure you purchase a machine that drives on the rear wheels and not the front wheels. I have seen lawnmowers that drive on the front wheels which in my mind very poor way to drive the machine, the problem is that when you turn the Lawnmower, you automatically lift the front wheels off the ground which in turn stops the mower moving forward. Whereas, if the machine was rearwheel drive it would carry on moving forward as you turn, so I would definitely avoid front wheel drive mowers. Self-propelled Rotary lawnmowers are very straightforward, they have four wheels on some machines you can adjust the wheels individually, personally I don’t think this is particularly necessary, although sometimes it is good to have the machine higher off the ground at the rear as this can sometimes help collection if the grass is a bit long. The collection process is very simple, there is a box attached to the back of the mower and the grass is blown straight in. These machines generally pick up better than the roller rotary’s as the grass goes directly into the box whereas with a roller rotary the grass has to go over the roller. These mowers also pick up longer grass than a roller rotary, however, it is still much better if you cut your lawn on a regular basis, not only will your lawn look better but you will have less grass to empty! Mulching lawnmowers can be very useful investment as their is no grass box to empty which is a great bonus! The downside is that for a mulching mower to work efficiently you have to cut your grass on a regular basis and you can sometimes get more moss with a mulching mower, however, this can be cured by treating your lawn on a regular basis, which I would recommend doing anyway. I have used different mulching mowers and some work better than others, I particularly like the Husqvarna Rider range of mulching mowers, these machines are articulated which makes them extremely manoeuvrable around flower beds and trees etc. There mulching ability is also very good and efficient, but once again, for this to work efficiently you have to cut your grass on a regular basis. I would seriously consider looking at a mulching mower, it is so easy just to sit on a Lawnmower and not have to empty the box or bag, most of us know how long this can take having to keep stopping. Even a good walk behind mower is well worth looking at. In an ideal world, it’s not a bad idea to have a mower that mulches and a mower that collects, but I do appreciate that this isn’t always possible. Zero turn mowers are great fun to use and a very efficient way to cut your grass, they’re probably my favourite, especially if they have a mulching deck on. A zero turn mower has two hydraulic motors on the rear driving wheels and two caster wheels at the front, normally the machine is steered by two levers which give you instant forward and reverse, these machines are the most manoeuvrable lawnmowers available, their capacity to cut grass very quickly is amazing. Zero turn mowers are available as walk-behind machines and ride on machines, I have owned both and they are both very efficient machines to use. 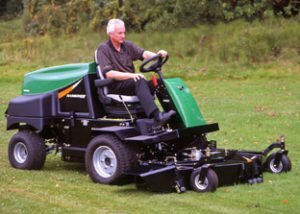 The downside is that zero turn mowers are not cheap, but if you buy a decent machine it will give you many years of service provided that you look after it. 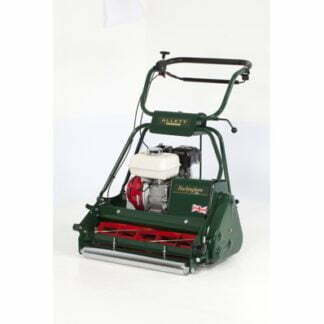 Cylinder mowers are for that perfect bowling green look that we all love to see, just be aware that most gardens, in my opinion, are not suited to a cylinder mower unless you are very dedicated to your lawn. 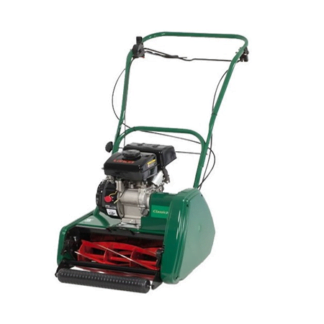 I believe that the majority of people are better off with a roller rotary mower as the maintenance is much simpler and they give a reasonably good quality striped finish. 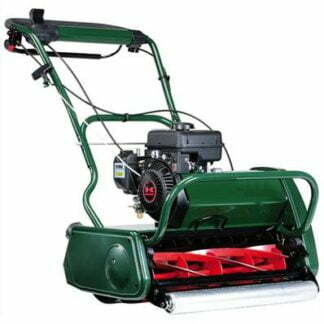 If you feel that you do have a nice flat lawn and you really want to maintain it well, then definitely go for a quality cylinder mower. A cylinder mower has a very precision cutting action, so it is very important that you keep your lawn clear of any debris as if you hit anything hard you can reduce the efficiency of the cutting action. I have seen many cylinder mowers when they are not cutting efficiently, they tend to bend the grass over rather than cut it, you really do need to be dedicated to looking after your lawn to use a cylinder mower. I’m not trying to put you off buying a cylinder mower, I just want to make you aware that it is important you know the ins and outs. 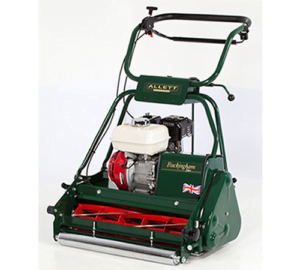 Cylinder mowers are available in push versions, electric, petrol and commercial type gang mowers for large gardens, greens and golf courses. Make sure and buy a ride on mower with a hydrostatic drive, gearboxes on lawnmowers today are out of date. A hydrostatic drive consists of a hydraulic motor that gives you variable speeds in forward and reverse, this system is fantastic compared with the old-fashioned painful gearbox. Don’t buy a cheap ride on lawnmower, you will regret it! 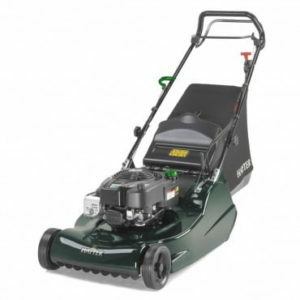 Unfortunately, there are a lot of cheap ride on lawnmowers that really are very poor, if you are buying a new machine make sure that you have a demonstration to find out as much as you can about the particular machine you’re thinking of buying. If you can’t afford a decent ride on lawnmower I would look at buying a decent walk behind machine as there’s nothing much more frustrating than having a machine that keeps breaking down or doesn’t do the job properly. Also, remember that many ride on lawnmowers are nowhere near as manoeuvrable as a walk behind lawnmower, there are exceptions with the articulated and zero turn mowers, but in general ride on mowers and garden tractors are much more cumbersome in gardens. If you have lots of obstacle in your garden, you’re probably better off with a decent walk behind lawnmower. Gang mowers are normally used on village greens, golf courses and playing fields but they can also be used in large gardens. 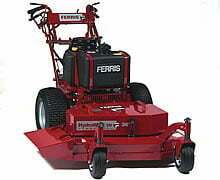 Gang mowers are commonly self-propelled and come in cylinder form and rotary form, they can also be towed by a tractor. Robotic lawnmowers are relatively new out, if you are sceptical about robotic mowers, I can tell you from experience that they do work and if you don’t like cutting your grass then this could be the answer for you! Ideally, robotic mowers are best used in areas that don’t have lots of obstacles, if you have lots of small paths and banks in your garden then a robotic mower may not be for you. However, if you have a lawn with a few trees and flower borders then a robotic mower may be for you. 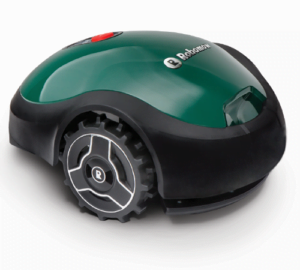 It is very important when you purchase a robotic mower to make sure you spend time properly installing your mower. Robotic mowers need a perimeter wire all around the lawn which they will follow, the perimeter wire can also be put around flower borders and obstacles. The perimeter wire actually goes on top of the lawn but is tacked down with pegs, you could also bury the perimeter wire but you will find after a few weeks the perimeter wire will not be visible as the grass will have grown over it. Your robotic mower will actually drive over the perimeter wire, the reason for this is so that it gets close to border edges so in this way no grass is left uncut, it is also important to spend time putting your perimeter wire down correctly. There are professionals that will carry out the installation for you if you’re not confident in doing it yourself. I do find it amazing how robotic mower can be set at various times to cut your lawn and most of them even have rain sensors so that it starts raining when they are cutting they will go back to the base station. A robotic mower mulches your lawn so there is no grass to clear up and the great thing is can set your mower to come out automatically two or three times a week and just keep your grass looking perfectly evenly cut. One thing is robotic mowers do not do is to leave stripes on your lawn, I guess one day they may have the technology to do this! For some reason they don’t actually cut in a uniform way, they go in all different directions, however, they don’t miss any grass providing you have installed your machine properly! 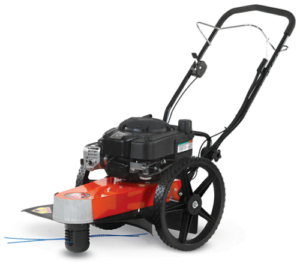 Rough Cutting Mowers can come in the form of heavy-duty rotary’s, flail mowers, scythe mowers and Wheeled Trimmers. 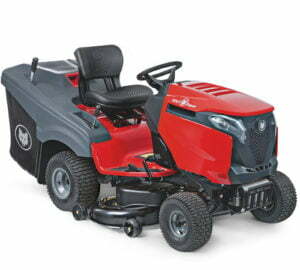 A heavy duty rotary mower is great for cutting rough areas, these can be self-propelled machines or tractor mounted. A flail mower is great for cutting down long grass and brambles, these are available as pedestrian machines, I actually used to own a Turner pedestrian flail, it was great for rough areas. Flails are also available for out front ride on’s, tractor mounted and the hydraulic arm mounted files that can cut hedges and grass. 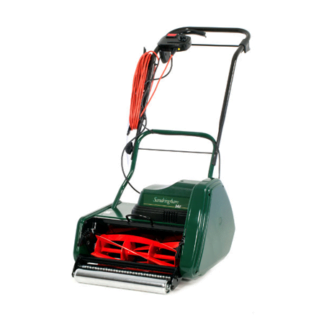 The heavy duty rough-cut nylon cutting mowers are great for overgrown and rough areas, one of the best things is that there is no blade to damage or to become blunt as these types of machines simply rely on heavy duty nylon cord. These models are available as pedestrian machines in push versions and self-propelled versions, personally I would go for a machine that drives itself, far easier than pushing, but obviously, this depends on your budget. Thank you for taking the time to reply, I’m sorry that your lawnmower was damaged. I hope this article helps you to decide what lawnmower to buy next. I always recommend that people buy a quality mower rather than a cheap mower, it pays to buy something decent in the long run, however, I also appreciate that this isn’t always possible. Excellent detailed post. Good description of the various types of lawn mowers. I had no idea there were so many varieties. 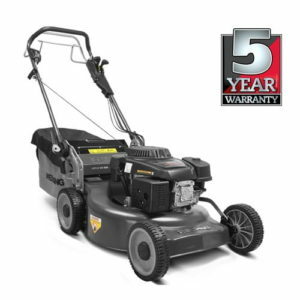 The description of each type of lawn mower, and how it should be used, whether on flat or uneven ground gives a novice like myself, useful information about the difference in lawnmowers.I now know what to look for in purchasing a lawnmower. My only suggestion is that you may want to add a few more links to your paragraphs. Thank you for taking the time to comment on my blog post-Cherryl, it’s amazing how many different types of mower are available. I want to help people select the right machine for the right job.